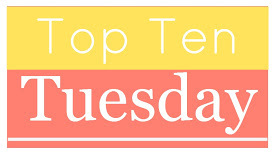 Top Ten Tuesday is a weekly feature hosted by “The Broke and the Bookish.” This week, they have expanded their list to include non-bookish things as well because, let’s face it, even I’m not crazy enough to have ten separate reading goals for the year! That’s crazy! So this list will be a mixture of reading goals and other resolutions, starting off with the book stuff. GoodReads Goal – to read 70 books this year. This was a goal that I surpassed last year, but it was still a challenge. Going to keep it the same this year. TBR Reading Pile Challenge – If you have a ton of books piling up that you haven’t read yet, this is the challenge for you. I’m goal is to read 20 of them. Complete the Series – 2013 – There were nine series that I began in 2013 that I will complete in 2014. I already finished one! (although there was only one more book to read, so maybe this isn’t that much of an accomplishment) For a list of those series, you can check out my official page on my goals. Complete the Series – 2014 – This will be the year of no series left behind! If I start something, I will finish it, dang it! Get a consistent writing schedule – I say that I like to write, but I never seem to have the time. I will have a consistent writing schedule this year, helped along by the 5 AM Writers Club over on Twitter. They are awesome! Get more involved at Scribophile – I signed up over at Scribophile and haven’t really done much with it. It’s an online writer’s community, with critiques and discussion boards. What I’ve seen so far has been really cool. I just need to do more with it. FINISH MY REVISION OF CHILDREN OF LIGHT!!! This will get done this year!!!! I’m finally (mostly) happy with the first three chapters. Time to move on! Start planning out my (possible) next book, working title Ghost Girl. I haven’t told very many people about this one, but it’s a rabid plot bunny that has been jumping around my brain ever since I had a really weird dream last year. Piano Lessons – Not for me. For my kiddos. They have been asking me to teach them piano, so I think I’m going to try and do that. I played years ago, and still play on occasion, but not as much as I’d like. This will be good for all of us, I think. Charity – Despite how much I complain about life (and I do complain A LOT), I realize that I am very, very, very, very lucky. This will be a year to do things to help other people. I have a few ideas, but I’m not going to go into it here. So those are my goals for 2014. A lot of them, I know. You should see the official list that I have in a notebook. It’s much worse. There are bullet points. But in any case, what are some of your goals for this year? Anything exciting or challenging? Good luck with your goals Denise 🙂 I never seem to set personal ones as I always fail. I hope you achieve though! Thanks Chrissi! Happy New Year! I have the similar writing goals. Ugh, I really need to buckle down on this one. And to think, most non-writers think that writing is easy! Silly people! The 5 a.m. writers club is pretty awesome. Too bad I am in the midwest and that would turn out to be 4 a.m. jaunt. Don’t think I could quite do that. And I love that one of your book ideas came from a weird dream. The draft I am working on now all came from an elaborate dream I had. People will look at me like I am crazy when I tell them that. I must have a dreaming retention superpower or something. Yikes, 4 AM would be a bit tricky. They do offer sprints for most of the morning though, so even if you miss the first couple, you could jump in a later one. I get lots of story ideas from weird dreams, although I haven’t used all of them. Some are just waaaaaay too out there! But others have potential, at least I think so. Good luck with your writing!